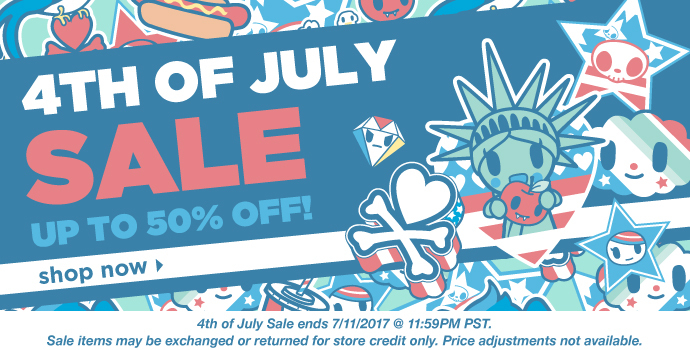 tokidoki: 4th of July Sale Starts NOW! up to 50% on select items - Blog @ That Awesome Shirt! 4th of July SALE, up to 50% off! Ends July 11th at 11:59PM (PST). Shop NOW! Ends 11th of July, 2017.